[Blind Gossip] This primarily TV actress is freaking out a little over being constantly photographed by the paparazzi. If she was wondering how they always seem to know where she is – or where she is going to be – she does not need to look too far for the answer! She is set for money for life, but his career hasn’t peaked yet. He wants to be signed by one of the majors [talent agencies]. He needs all the publicity he can get. No, it is not a member of her family. 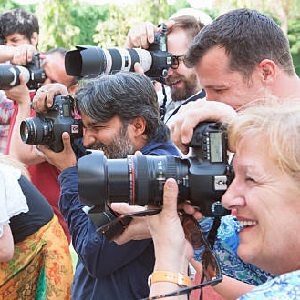 [Optional] If you were an actor and the paparazzi took photos of you while out and about, would you be grateful, amused, annoyed, or scared? Ariel Winter for sure. Her rep said she was taking a break from social meeting bc of the negativity and being followed everywhere by paps. My reaction would depend on the day and their attitude towards me. Ummm, Ariel Winter? She’s always being papped but seems to love it. But then again, maybe not? I myself would loathe being followed about because your private time is when you can let your guard down and piddle around. I like to talk to myself while out (looks awful I’m sure but it’s a family trait that I can’t shake,) and I can only imagine the field day that paps would have with that! No, the blind is assuming they aren’t signed by a talent agency. Nick obviously is already signed, and has a major record label contract. Lucy Hale and Ryan Rottman . He always has someone call the paps when he is with anyone famous. is this nick jonas and priyanka? He might be, but she has a connection to royalty. Therefore he now has a connection to royalty. So for him to be seen with her is good PR.